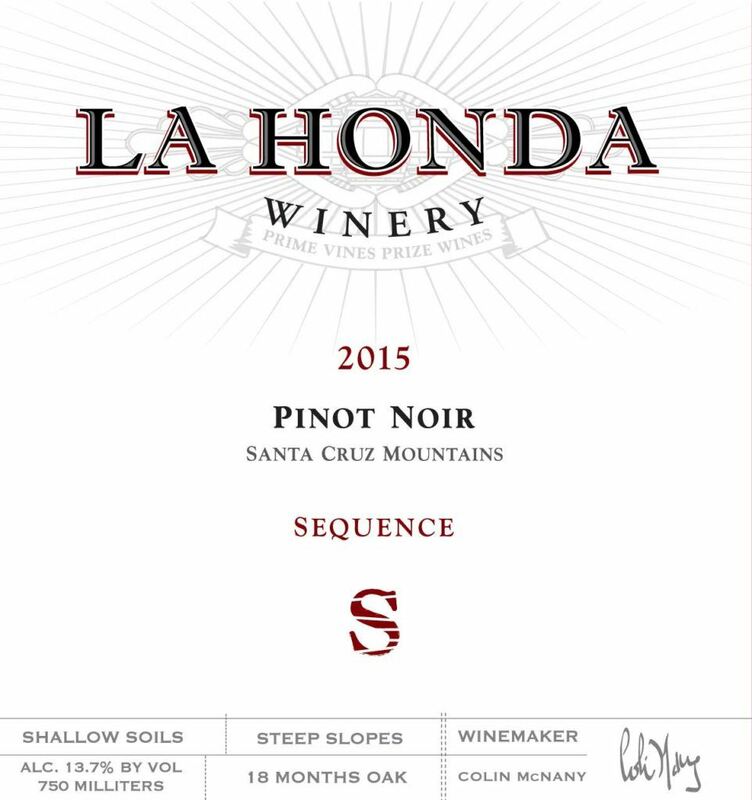 VINEYARD LOCATION: Portola Valley, Saratoga, La Honda on either clay or sandy loam soils. NAME: ‘Sequence’ of vineyards’ along Skyline, part of Silicon Valley’s vines/science heritage. season was persistently warm, and due to the lack of ground water, harvest came exceptionally early. potentially surpassing the last 2 vintages. cherry cola, and dark cacao nib tannin to finish.